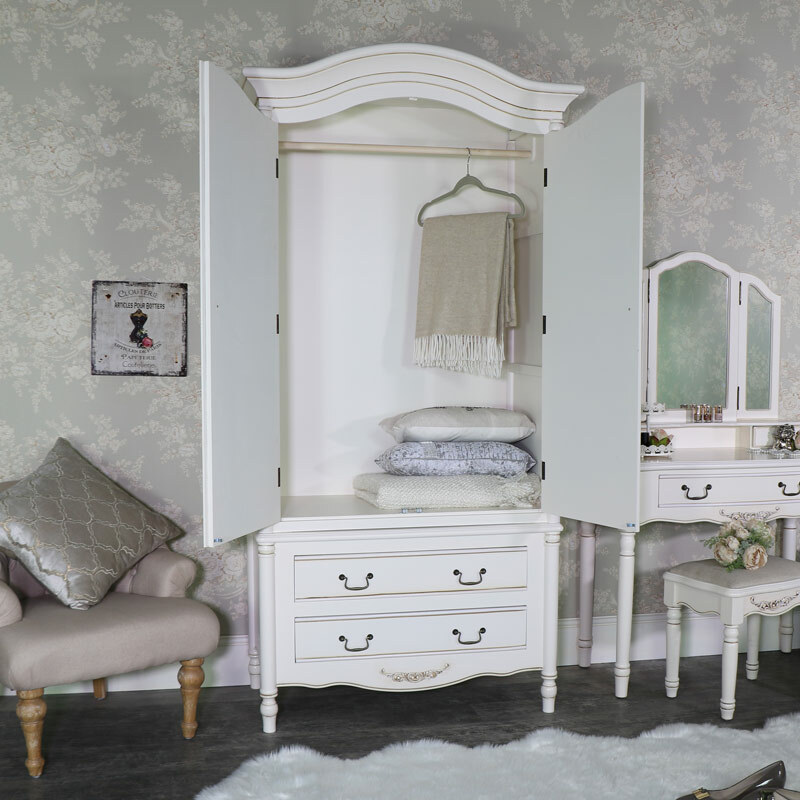 This vintage style armoire double wardrobe is part of our Adelise Range of cream bedroom furniture. This storage pieces has a spacious double door design, a hanging rail and two drawers. Each item comes with vintage, shabby chic inspired ornate carved detailing, vintage style pull handles and a cream painted finish. This wardrobe is part of a full bedroom furniture set. 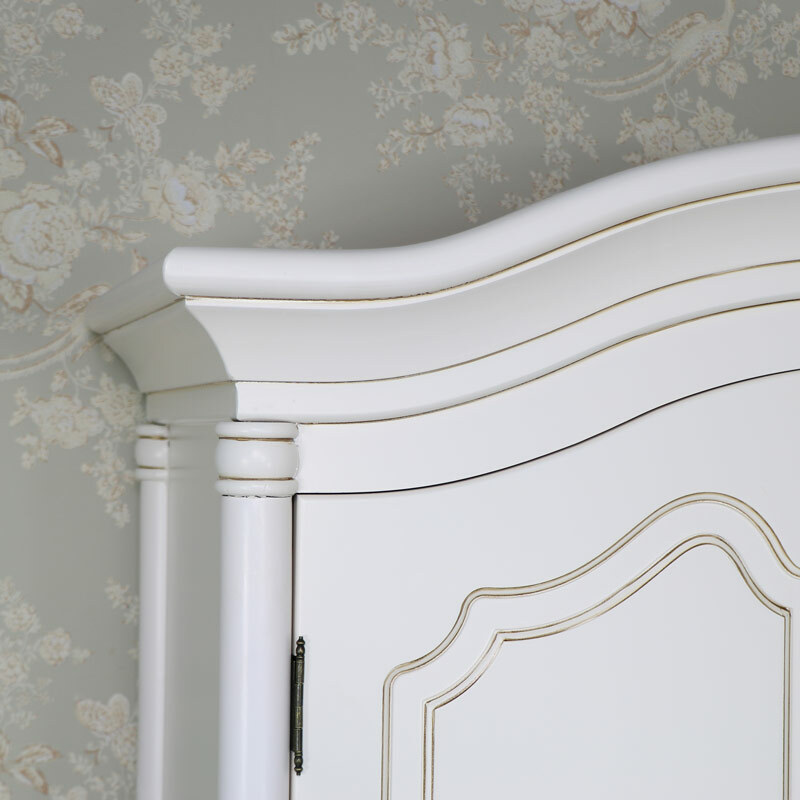 This wardrobe comes fully assembled, has french style ornate carved detailing and pull handle. The Adelise offers perfect bedroom storage in a classic vintage French style with more matching furniture available for you to create the dream bedroom with a dressing table, chest of drawers and bedside chests. Practical and beautiful storage at affordable prices. This vintage style armoire double wardrobe is part of our Adelise Range of cream bedroom furniture. This storage pieces has a spacious double door design, a hanging rail and two drawers. Each item comes with vintage, shabby chic inspired ornate carved detailing, vintage style pull handles and a cream painted finish. This wardrobe is part of a full bedroom furniture set. 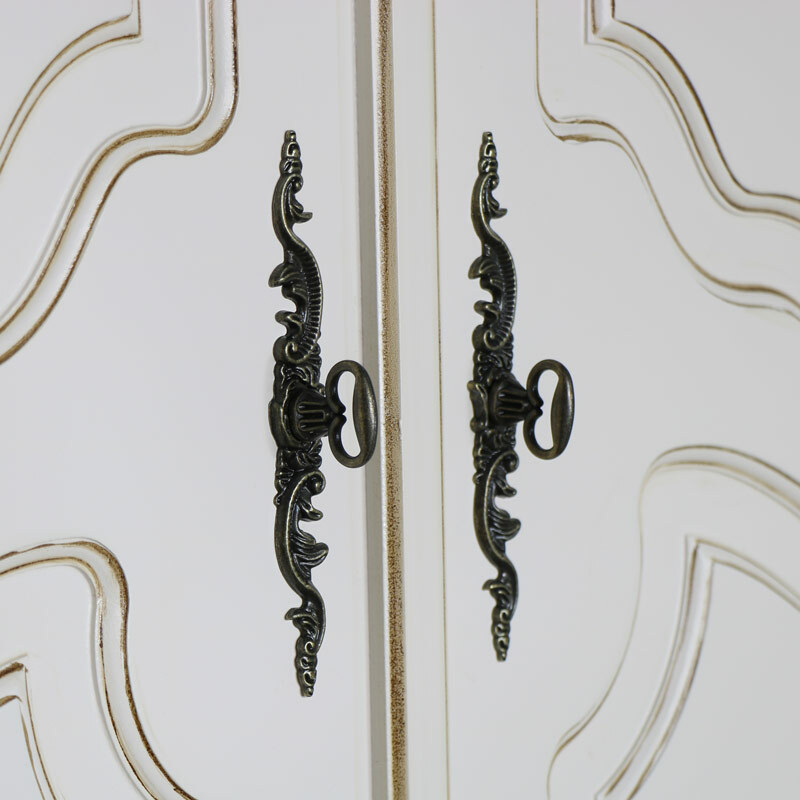 This wardrobe comes fully assembled, has french style ornate carved detailing and pull handle. 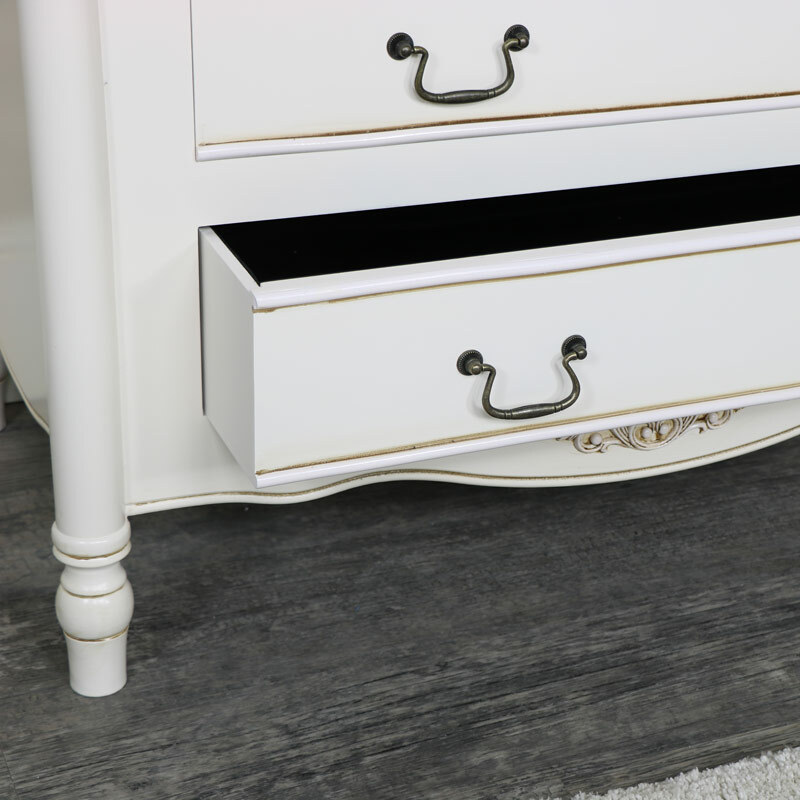 The Adelise offers perfect bedroom storage in a classic vintage French style with more matching furniture available for you to create the dream bedroom with a dressing table, chest of drawers and bedside chests. Practical and beautiful storage at affordable prices. Made from wood and painted in a cream colour with antiqued finish to give the appearance of age and beauty. The wardrobe comes partially assembled with the top sitting neatly on the base.